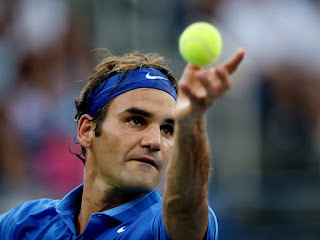 Former French tennis player Henri Leconte is very confident that good times will come again for legend Roger Federer. Leconte a big admirer of the Swiss Maestro, has a good relationship with the world number 6, as earlier this month they attended together an event held by Credit Suisse in Melbourne. 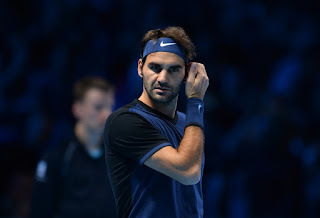 The former French star likened Federer to super British Spy 007. 'He is the James Bond for me', said Leconte as quoted by Blick. 'He is unique, able to constantly adapt his game. He even plays ping pong, if necessary. And against younger players like Tsitsipas he needs to change the things again. Winning two sets is easy for Roger, five sets turns more complicated. He will have to play even more aggressively and he will try to do it.' Will Federer be willing to change his game again? 'Yesterday, he was attacked by someone who had nothing to lose. You cannot imagine how much work it takes to be at the same level as Roger at that age", admitted Leconte. Recently Federer came under critism for deciding to skip the French open and most of the clay court season. I never get worried about James Bond. He always finds a solution to kill." Swedish player Thomas Enqvist recalled when he defeated Roger Federer at 2000 Swiss Indoors in Basel. 'He overcame it well! ', Enqvist laughed. Afterwards, he remarked on Federer's incredible longevity, which has so far baffled the world. 'He really loves tennis, so his age is secondary. Who would stop being in his place? As much as Tsitsipas was good, Roger had the match in his hands. Even if he does not play his best tennis, his level is unbelievably good. He is currently still the tennis Grand slam leader, but with Nadal and Djokovic in amazing form and closing in, some doubt he will be able to maintain his lead much longer if his two greatest rivals stay healthy.